CPA Accounting Firm for Florida Keys - Call Ward & Meyers, LLC! 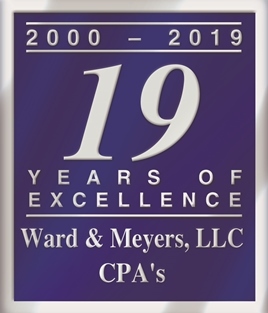 Ward & Meyers, LLC was established as a friendly full service CPA firm to offer the tax, accounting and consulting needs of individuals and small businesses. We have a genuine commitment to offer professional, personalized services. Larry Ward and Mary Beth Meyers began working together in Key West in 1992 as financial managers for one of the largest public service organizations in the Keys. Larry and Mary Beth worked well together and after a few years decided it would be better to work for people that could directly benefit from and appreciate their dedication and extensive tax expertise. Providing mostly tax and business consultation services, Ward & Meyers, LLC was born in 2000. Although Larry has now passed on, Mary Beth continues to offer expert accounting, taxation and consulting services with customer service as the number one priority. This philosophy extends to her staff, who have not been recruited, but have solicited employment with the firm. We are all happy to be here, together, at your service. The professional staff at Ward & Meyers understands the complexity of financial decisions and the need for current and reliable information. We pride ourselves in making our customers feel important and secure in the fact that their needs are being addressed. Although a list of our services is provided on a separate page, our specialty is guiding the small business owner through the startup and growth stages of their business. We want to help you enjoy financial prosperity. At Ward and Meyers, LLC, our goal is to provide you with efficient business solutions, leaving you free to enjoy your life.